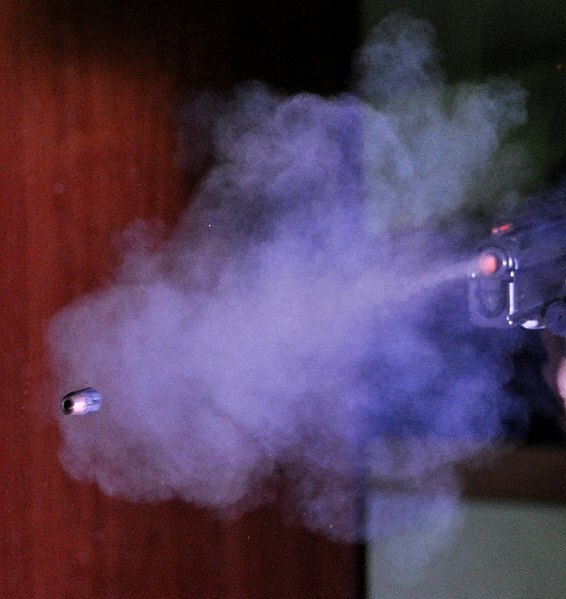 Ballistics (sometimes called “ballistic fingerprinting”) examines the markings that firearms leave on bullets to match a bullet to the firearm that fired it. Likening it to fingerprinting is an apt analogy. Like fingerprinting, ballistics suffers from a lack of independent verification of its assumptions. Most firearms impart spin on a fired bullet, and subtle variations in the spirals within a firearm barrel leave tiny grooves called “striations” on the bullet. The striations a particular firearm imparts are supposedly unique. A technician attempts to match a bullet of unknown origin with the barrel through which the bullet was fired. However, it has not yet been proven that the striations are unique, but we know that striations are inconsistent. Different makers of bullets have different striations, even when they go through the same barrel. Wear and tear from regular use and intentional damage to the inside of the firearm barrel can also change striations. Like fingerprinting, ballistics has to deal with the difference between lab conditions and real world conditions. Bullets fired in a laboratory are fired into a soft medium to keep the bullet intact, but bullets found at crime scenes are often damaged from smashing into hard materials. Ballistics labs do not have definitive guidelines for how much damage to a bullet is too much. One expert may disagree with another about whether two bullets were fired from the same firearm. It is up to individual technicians to decide whether they feel comfortable that the striations on a bullet from a crime scene sufficiently match the striations from the suspected weapon. Ultimately, a human makes a judgment call, and no agency is conducting quality control to ensure the accuracy of a technician’s determination. Categories: Criminal Law | Tags: ballistic fingerprinting, ballistics, criminal justice system, forensic evidence, Salt Lake criminal lawyer, Utah criminal lawyer | Permalink. Arson investigation, unfortunately, is a field where junk science has been the rule rather than the exception. Rarely are houses intentionally set on fire to allow investigators to study the unique effects of burning houses. 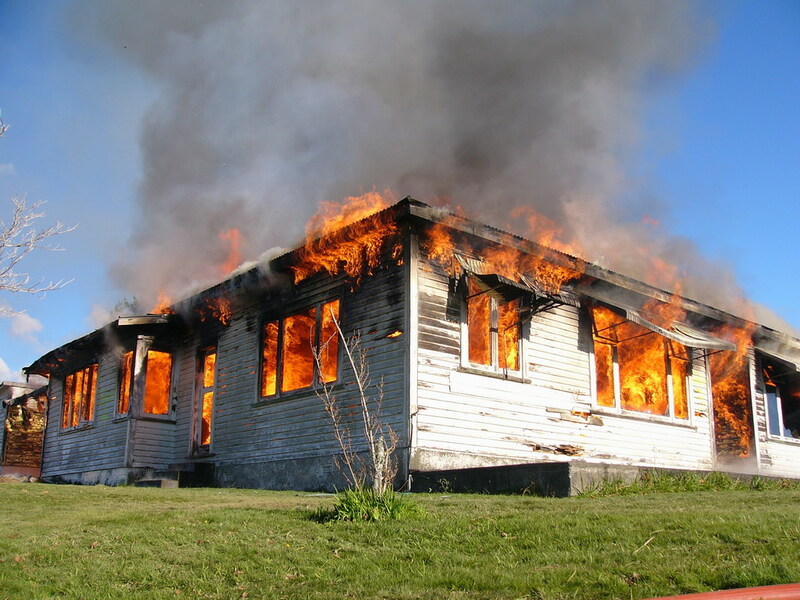 There are subtle yet distinct differences in how houses burn in comparison to other fires. Many arson investigators rely on their intuition and have been slow to adapt to studies that show that their assumptions are bogus. For example, it used to be that arson investigators interpreted signs that a fire burned particularly hot as proof that an accelerant, such as lighter fluid, was used. Experiments have shown that wood and gasoline fires burn at nearly identical temperatures. A natural wood fire can reach temperatures in excess of 2,000 degrees, hot enough to melt or burn many household objects. Melted copper wiring, melted steel bedsprings, and “crazed glass” all were used as evidence of arson. But crazed glass is usually the result of rapid cooling—such as when firefighters put out a blaze—and the upper ranges of pure wood fires are enough to melt copper and steel. Another common misconception is that floors won’t burn unless an accelerant has been used. One experiment was all it took to disprove that theory. Investigators in Duval County, Florida were trying to prove that a fire could not have happened the way a defendant claimed it did. In the process, they proved his case. They spent $20,000 to hire experts and equip a condemned house with heat and gas sensors. They lit a couch on fire, without using any accelerants, and watched what happened. The fire quickly consumed the couch and filled the room with smoke. Just four and a half minutes later the room suddenly burst into flames, including the floors, walls, and furniture. The prosecutor quickly dropped the case against the defendant. The experimental house burned so rapidly because of “flashover.” Flashover occurs when smoke and gas in a room build, to the point where it finally explodes in flames, including the floor. The house reached over 1,000 degrees just before flashover. Before this experiment, investigators were aware of flashover, but most believed it took longer to occur, especially without a liquid accelerant. It is impossible to say how much more the field of arson investigation would advance with a few more experiments. It is still remarkably easy to be certified as an arson investigator in many states. Some states require as little as 40 hours of training before someone can be deemed an expert in arson investigation. All over the country, there are poorly trained investigators that are still using techniques that have no basis in science. Categories: Criminal Law | Tags: criminal justice system, forensic evidence, Utah criminal lawyer | Permalink. Bite mark analysis is an area of “science” that is unique to crime investigation. Forensic dentists are usually self-employed and have no oversight. There are no rules or regulations governing the industry, and no government entity has ever reviewed the validity of bite mark evidence. From the start, bite mark analysis has been a dubious science. As the Chicago Tribune outlined, the field was born in 1970 when eight dentists sought to seek recognition from the American Academy of Forensic Sciences as a legitimate way to identify criminals, but they needed 10 members. They scoured the meeting rooms and were able to find 2 other pathologists who also happened to hold dental degrees. The field hasn’t improved much since then. 42 years later and forensic dentists still disagree about whether or not a particular mark is even a bite. Thanks to DNA testing, we now know that innocent people have been convicted in cases where the primary evidence was bogus bite mark analysis. A bite leaves an imperfect impression on the skin, and irregularities in bodies cause distortions. Furthermore, teeth, unlike DNA or fingerprints, are impermanent. Even a study conducted by the American Board of Forensic Odontology found a 63.5% rate of false identifications, and yet courts continue to accept bite mark analysis into evidence. Categories: Criminal Law | Tags: american academy of forensic sciences, criminal justice system, forensic evidence, forensic odontology, Utah criminal lawyer | Permalink. Everyone “knows” that each person has a unique set of fingerprints. Fingerprinting is so ingrained in our beliefs about criminal investigation that people take it for granted that fingerprints can reliably identify a suspect. Over a century of murder mysteries in novels and—more recently—television and movies have trained us to believe that fingerprinting identifies people effectively. Mark Twain wrote about fingerprints as far back as 1894 in his novel Pudd’nhead Wilson; the main character solves a murder with his eccentric fascination with the then obscure field. Since then, countless stories have turned on the information contained in a fingerprint. Unfortunately, the most underlying premise of fingerprinting is unproven. We don’t actually know that everyone has unique fingerprints. In fact, many of our assumptions about fingerprints are unproven and haven’t been subjected to rigorous scientific analysis. We don’t know the likelihood of misidentification. We don’t have standardized rules for how much a latent print found at a crime scene needs to resemble a rolled fingerprint on file before it is certified as a “match.” We don’t even have a national accreditation body that certifies someone as an expert in fingerprints. That makes fingerprint identification the most shocking category of dubious forensic science. The science of fingerprinting has not advanced much since the days of Francis Galton. Galton wrote the seminal book Finger Prints and published it in 1892. He was the first person to show that a person’s fingerprints do not change during a lifetime, and he invented a taxonomy for classifying fingerprints. He was also the first to postulate that each person’s fingerprints are unique. To arrive at that conclusion, he relied on a mathematical estimation that two people would have the exact same shapes at various points within his taxonomy. He concluded that the chances for duplication were 1 in 64 billion. (In 1892, that probably seemed definitively unique, but now that there are more than 7 billion people in the world, it seems less so.) Others have reconfirmed Galton’s mathematics, but over the last 130 years, there haven’t been any thorough, independent studies to verify his hypothesis. Even if we assume that fingerprints are indeed unique, the biggest problem with the science of fingerprints is that there aren’t uniform standards for investigators. 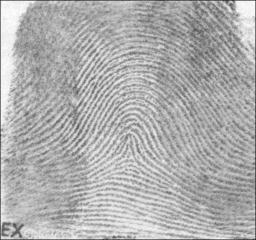 For most jurisdictions, it is up to individual examiners to decide whether they feel comfortable that a latent print from a crime scene sufficiently “matches” a suspect’s fingerprints on file. When the police or another entity rolls someone’s fingerprints, they make sure they get every finger, in pristine condition. Latent prints are almost always incomplete, smudged, and damaged. The average latent fingerprint has only about 20 percent of the full fingertip. Experts sometimes disagree about which finger a latent print came from. Contrary to popular media, computers do not really match a latent print to a print in a database nor is it done in seconds. Instead, IAFIS, the FBI database, recognizes patterns and narrows down the potential matches from the fingerprints on file, and it takes about an hour to complete. Ultimately, a human makes a judgment call of whether a fingerprint matches, and the opinion is more art than science. No one tests these experts to see if the conclusions they draw are consistently accurate. Perhaps the most famous instance of a wrong identification is that of Brandon Mayfield, an attorney from Oregon who the FBI erroneously thought was connected to the Madrid subway bombings. The FBI experts said that a latent fingerprint on a plastic bag containing a detonating device was “100% verified” to be Mayfield’s, despite the fact he had never been in Spain. Fortunately for Mayfield, the Spanish authorities disagreed with the FBI’s fingerprint experts. In the aftermath of the Mayfield incident, the FBI changed the way it trains its experts to testify in court. They are no longer instructed to use the same degree of certitude or to speak of fingerprints as having been verified. The criminal justice system has a problem. No one knows just how reliable some types of forensic evidence are. 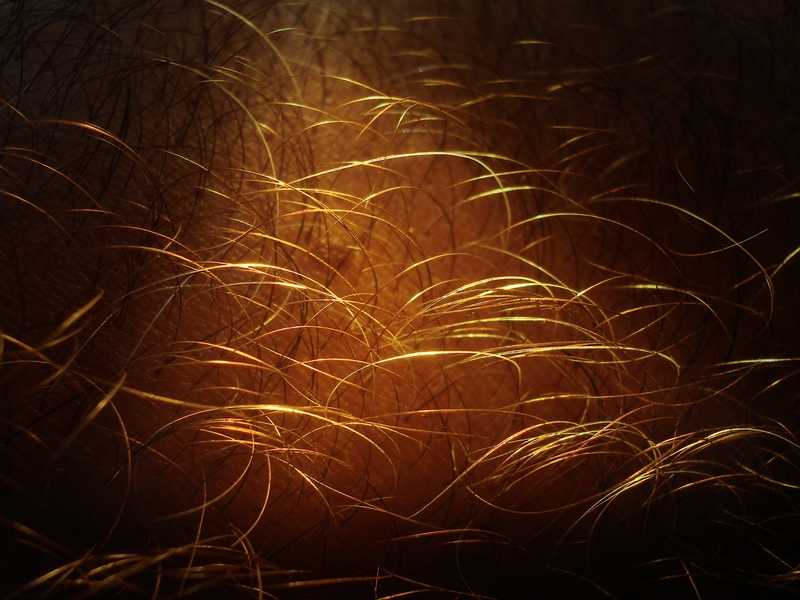 These forensic fields were developed by crime investigators instead of by scientists. Not only haven’t they been proven to be reliable, there’s a question of whether or not they’re based on science at all. Some of them are better classified as superstition, but the criminal justice system has been slow to weed them out. Bad forensic evidence usually makes its way into Utah courtrooms through expert testimony. Someone can testify about their credentials—frequently from spurious colleges or organizations—and then the court certifies them as an expert in a particular field. Under the Utah Rules of Evidence, judges are supposed to prevent experts from testifying about junk science. Utah Rule 702 governs expert testimony, and judges are required to make sure that the specialized knowledge that the expert purports to have is “reliable,” “based upon sufficient facts or data,” and has been “reliably applied to the facts.” Most judges do not have the expertise necessary, however, to determine if an expert’s testimony actually meets that criteria. In a previous post, I argued that juries demanding that forensic evidence accompany eyewitness testimony has been a positive trend for criminal justice. I still believe that, but it’s also important that hard science support all forensic testimony. The best forensics were developed independently from crime investigation and have other applications. DNA evidence is the gold standard for good forensic evidence. Everyone has DNA, it’s unique (even identical twins have a little variation), it’s quantifiable, and DNA tests can be replicated from one lab to another. Through CODIS (the Combined DNA Index System), the FBI keeps a large database of individuals’ DNA to help identify suspects in certain crimes. The one drawback is, unlike on television where it takes just a few minutes, it actually takes weeks to get the results. Some forensic fields lack applications beyond crime investigation and don’t have independent verification. Those fields need to be subjected to the scientific process. That includes independent experimentation, peer review, and the ability to replicate conclusions. Most people are surprised when they learn that much of the forensic evidence that we were led to believe is scientific, has actually never been subjected to the scientific process, and no one has proved that they are reliable. In such fields, two different experts can come to completely different conclusions or their conclusions can be influenced by what they know about the crime they are investigating. Categories: Criminal Law | Tags: combined dna index system, criminal justice system, forensic evidence, forensic testimony, Rule 702, Utah criminal lawyer, Utah rules of evidence | Permalink.